The 1980 Canadian American Challenge Cup (Can Am) season started at Golden State Raceway and concluded in California at Riverside. In between these events, there were races at Mid-Ohio, Mosport, Watkins Glen, Road America, Brainerd, Trois Rivieres, Road Atlanta and Laguna Seca. 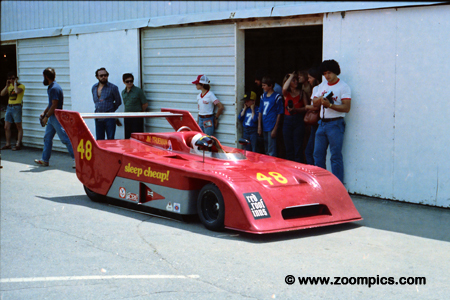 By 1980, the second generation Can Am grids were no longer filled with Lola’s T-333 CS model. The cars had evolved to incorporate ground-effects. This aerodynamic aid was used in the design of the Lola T-530 and Al Holbert’s CAC-1. 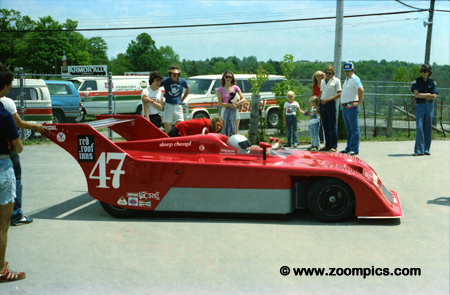 The most competitive converted Formula 5000 Lola T-332 C chassis was Brad Frisselle’s Frissbee designed by Trevor Harris and driven by John Morton. In 1979, the series gave the under 2-liter cars their own championship. And, in 1980 it had developed into a very competitive class with some very quick drivers (Gary Gove, Bertil Roos, Anthony Cicale, Jim Truman). 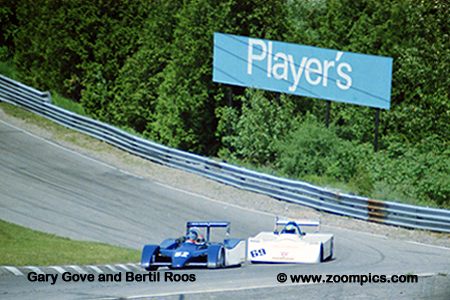 Mosport was the third round and the track had its traditional June date which kicked off the summer for many Canadian motorsport fans. The race was 60-laps/147.5-miles around the 2.459-mile circuit. 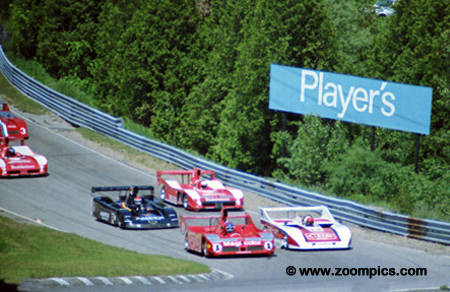 The field on their pace lap heads into Mosport’s Moss corner. 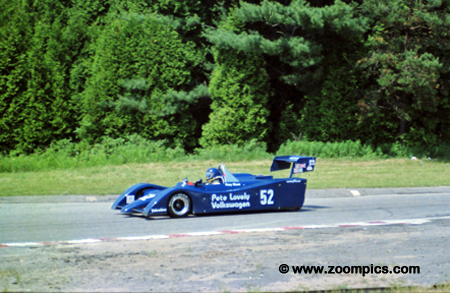 Leading the fifteen starters is pole-sitter Patrick Tambay - next to him is Al Holbert. Row two consists of Bobby Rahal in the Prophet and eventual second-place finisher Stephen South in a Lola T-530 entered by Paul Newman. Of the fifteen starters, only eight would be running at the checkered flag. Patrick Tambay won the 1977 Can Am title driving a Lola T-333 CS for Carl Haas. After a couple of seasons in Formula One, he returned to the series. Again, he teamed up with Haas to drive Lola’s latest offering the T-530. Tambay won the first two events at Golden State and Mid-Ohio. Mosport would be no different as he led from flag to flag. 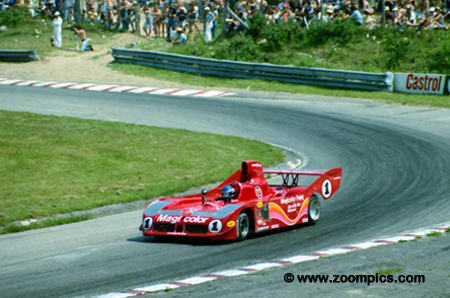 Count Rudi van der Straten entered a Lola T-530 for 1979 Super Vee Champion Geoff Brabham. Brabham qualified the car sixth and finished third – 2-laps behind Patrick Tambay and Stephen South. 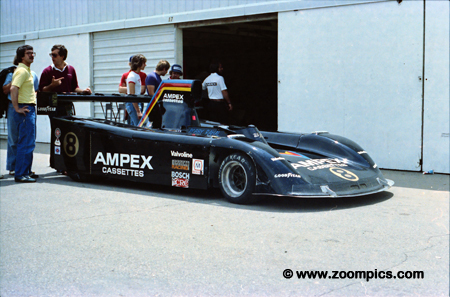 During the season Brabham had a couple of podium finishes and won at Road Atlanta – he was third in the 1980 Can Am Drivers Championship. The converted Formula Atlantic Ralt RT-1 concept that Anthony Cicale introduced in 1977 was still competitive four years later. Called a Cicale Special it was powered by a 2-liter Hart 420R. 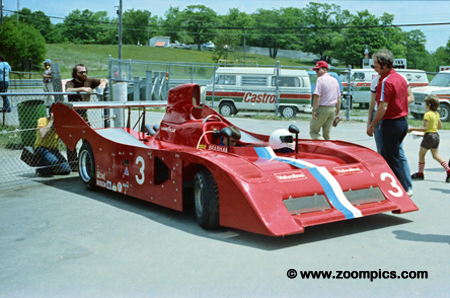 At Mosport, Cicale started thirteenth overall and third in the under 2-liter class. But he improved on his starting position and was the under 2-liter leader at the checkered flag. Midway through the 1979 season Bobby Rahal replaced George Follmer in the Prophet - Follmer, was seriously injured in an accident. Rahal often qualified well and when the car finished he produced good results – he won the 1979 Laguna Seca event. At Mosport, he qualified third and ran in that position until he his tires began to blister. He pitted for new rears but a late race charge resulted in a crash at corner-ten. He was classified with a seventh place finish. Gary Gove’s No. 52 under 2-liter car was a converted Formula 2 Ralt RT-2 powered by a Hart 420R. Gove made his series debut at Sears Point in 1977 driving a Chevron B26 but did not compete in a full season until 1979. He made the switch to the Ralt for the first time in 1980 at the season opener, Sears Point, and took the class win. At Mosport, he qualified and finished second in class. 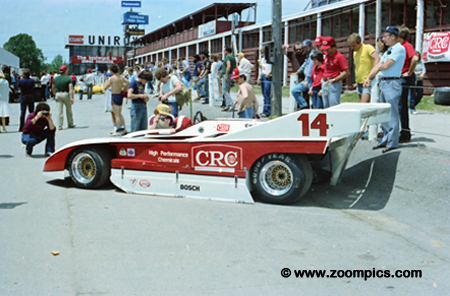 With sponsorship from CRC Chemicals Al Holbert contested the 1980 series in a car designed by Lee Dykstra which was called the CAC-1. Holbert won the Road America and Riverside events and finished second in the final standings. He qualified second at Mosport and maintained that position during the race until he suffered an engine failure on lap-51. The No. 48 under 2-liter Cicale was driven by Jim Trueman. Before entering the professional ranks, Trueman had success at the amateur levels winning the SCCA’s National Championship in the C Sports Racer and Formula C classes. He was gridded fourteenth at Mosport but did not start the race. His best finish of the season was a second in the season opener at Golden State Raceway.